Blake W. Reed received his J.D. from New York Law School in 1997 and was admitted to the New York Bar in 1998. He is also admitted to practice in the Southern Federal District of New York and Eastern District of New York. 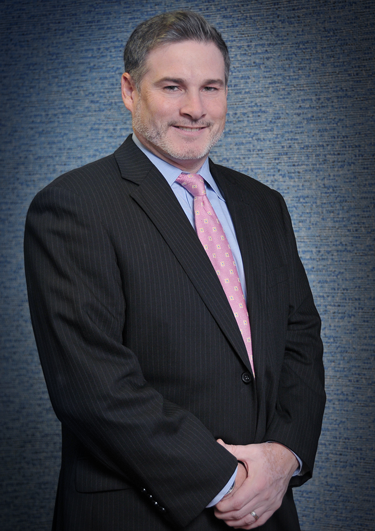 Throughout his career, Mr. Reed has worked mainly in areas of transactional law. His background in business law and proficiency in mathematics makes Mr. Reed particularly effective in tax law, both as it relates to real estate and estate planning. He works in all aspects of commercial and residential real estate, as well as hedge fund and company formations. Real Estate: Growing up in the real estate world, Mr. Reed has always had extensive knowledge and exposure to every facet of the industry. He currently represents everyone from institutional lenders to individuals and commercial and residential real estate developers, in all varieties of real estate transactions. Wills, Trusts & Estates: Mr. Reed’s interest in tax law provides a natural draw to estate planning and elder law, in which he drafts client’s wills, protects their assets, and creates the best legal circumstances for their needs, through careful estate planning. Personal Injury: Adept at recovering compensation for persons incurring damage or injury in a variety of personal injury cases, Mr. Reed is incredibly skilled at navigating the needs of those he represents in both cases of negligence and reckless conduct. Corporate & Small Business: With extensive experience forming and dealing with the operations of corporations and small businesses, Mr. Reed drafts offering materials for various hedge fund and private equity structures, as well as partnership agreements, management agreements, placement agent agreements and subscription documents. He has a strong knowledge of relevant statutes, rules and exemptions, and is well versed in interpreting governing documents for offshore funds and special purpose vehicles, notably with the Cayman, BVI and Bermuda counsel. Mr. Reed is involved in the New York Law School Alumni Association and Stony Brook Alumni Association. He is the President of the Stony Brook Touchdown Club and the East Northport Chamber of Commerce. He is also on the board of the Academy of Finance, and is a member of the Rotary of East Northport and the Northport Chamber of Commerce. Mr. Reed also holds a New York State Real Estate Brokers License.